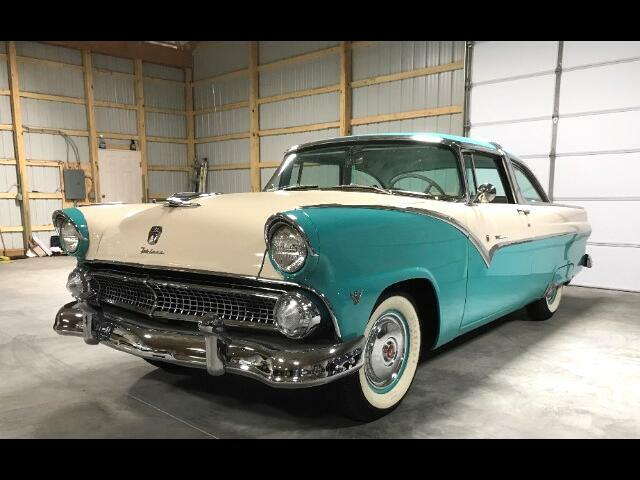 A super nice restored 1955 Ford Crown Victoria hardtop with original drivetrain, and automatic transmission, power steering, wide whites, factory radio, dual exhaust, and more. Super nice straight body with nice chrome, interior, and undercarriage. Finished in gorgeous turquoise and white with matching interior.